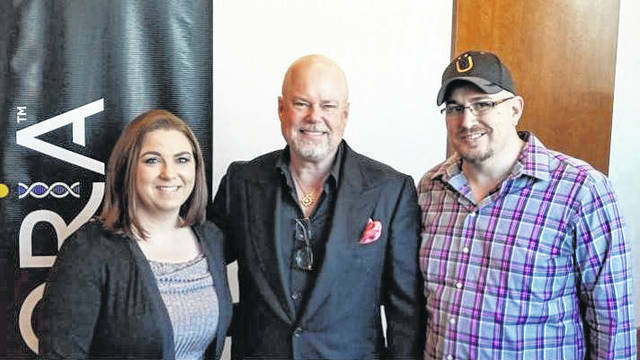 Local Entrepreneurs Curry and Jennifer Russell, pictured far right and far left, were recently recognized as two of the top 20 sales representatives in their company, Uforia Science. Uforia Science is a direct to consumer producer which provides a DNA kit to customers and based on the results a customized supplement is created for the individual. The couple earned a private leadership retreat in Las Vegas, Nevada at the home of professional speaker, trainer and best selling author, Eric Worre. The couple have been with their company for four months and are reported as two of the top producers, leading teams in nearly every state in the United States and each province in Canada. In November the couple, who are from Mason County, will also be taking their family on a paid for cruise to the Caribbean thanks to the second bonus prize provided by the company this year.